After you purchase an RV, regular maintenance on your motor home or towable RV is very important. Winnebago Motor Homes offers regular RV maintenance and can also help you with repairs and body work. We have 7 service technicians (76 combined years of experience!) that are Winnebago certified. They are also certified in Air Conditioning, Furnace, Water Heater, Generator, Refrigerator and Body Repair. 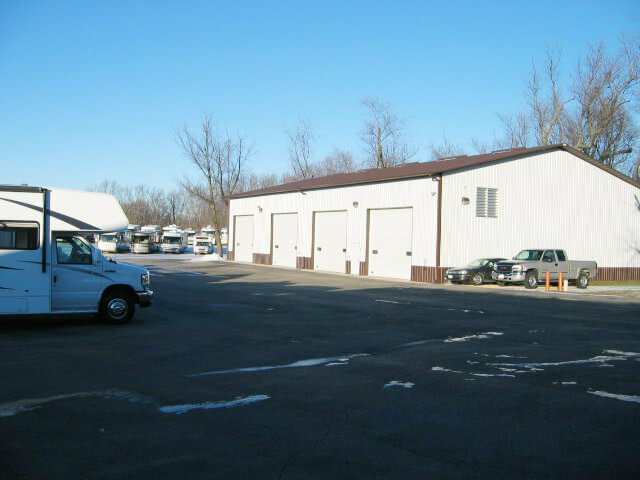 We have 2 service buildings with 8 service bays. We specialize in Winnebago and Itasca, but can service other brands as well. RV Parts & Accessories – buy from our store! Contact us to find out more! Our parts department carries just about anything you might need to get you ready for your next trip, including tow bars and satellite dishes. If we don’t have it, we can special order it for you.